Dhafir “Dada 5000” Harris had to be taken from the cage via a stretcher after his fight with Kimbo Slice. Here’s the latest news on his health. Bellator 149: “Shamrock vs. Gracie 3” took place last night (Feb. 19, 2016) at Toyota Center in Houston, Texas. The top two fights for the night were Ken Shamrock vs. Royce Gracie and Kevin “Kimbo Slice” Ferguson vs. Dhafir “Dada 5000” Harris. Fans in attendance may have been concerned when Harris was taken from the cage via a stretcher after the co-main event, but ESPN reports he was able to sit up and receive oxygen once he was transported backstage. If you’re surprised that the only reason Harris was stretchered out was fatigue, you may have missed an unforgettable fight in the Bellator cage. Both men were completely exhausted after the first round, and Slice did so little in the second round that he was stood up from having full mount on Harris. In the third round Harris appeared to collapse of his own accord without even being hit. 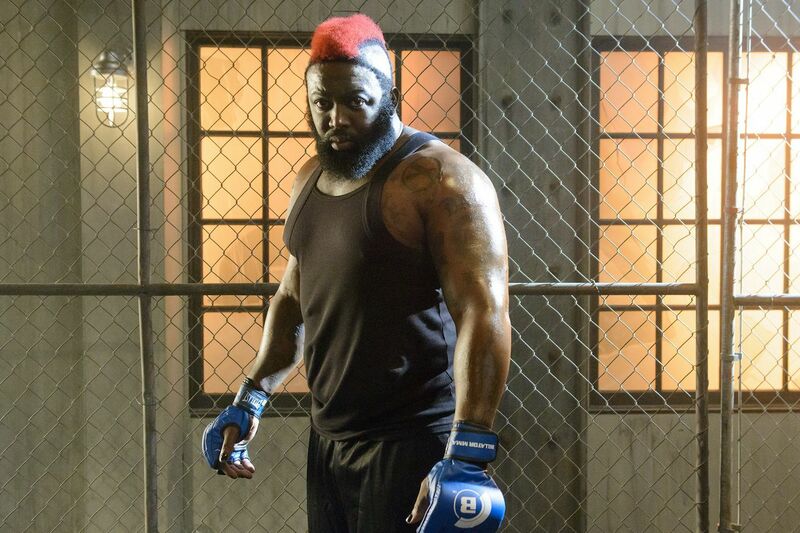 To watch Kimbo Slice vs. Dada 5000 full fight video highlights click here. According to “The Houston Chronicle,” Harris was transported to a local hospital for precautionary reasons. It appears that he will be fine; however, his future with the mixed martial arts (MMA) organization might not be as bright.